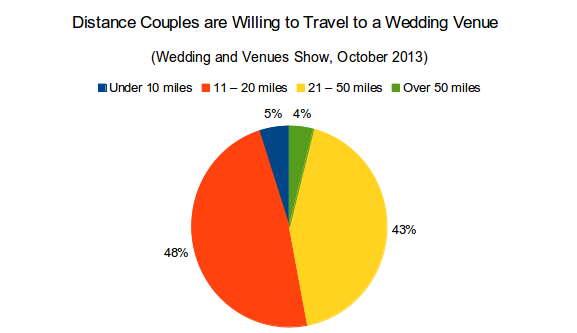 Why Wedding Venues should exhibit at the Wedding & Venues Show. The Wedding & Venues Show at Newcastle Racecourse Wedding Show is a unique concept event which has a large focus on Wedding Venues. Pre-registered engaged couples specifically looking for Wedding Venues are here in abundance. It is ideal if you would like to present your Venue or service at a very early stage as it has a target market of engaged couples that are actively looking for Wedding Venues and therefore generally have no services booked at all. The targeted online marketing for the Wedding and Venues Show will attract ‘serious prospects’ in the early stages of planning their Weddings this presents you with a nucleus of engaged couples in the process of looking for Wedding Venues. This ideal platform to showcase your facilities, where a sizeable proportion of exhibitors will be North East Wedding Venues will enable those represented to give newly engaged couples the opportunity to collect Wedding brochures, discuss and consider the many varied facilities and options that are available and how you can cater for the different elements of their Wedding. This will encourage couples to make a conscious decision to visit YOUR Wedding Venue or Open Day and make a confirmed booking we also encourage the visitors to contact you by including you a full colour exhibitor listings visitors brochure. Specific marketing to attract couples that are seriously interested in Wedding Venues to this show and to YOUR Open Days! We would also encourage you to set up an Open Day or evening within the following few weeks after the event and as an exhibitor at the show we can help you promote your FIRST OPEN DAY/WEDDING SHOWCASE AFTER THE SHOW FREE OF CHARGE on our website www.weddingfairsnortheast.com for 30 days, this ranks very highly on search engines for regional Wedding Fair related search terms. 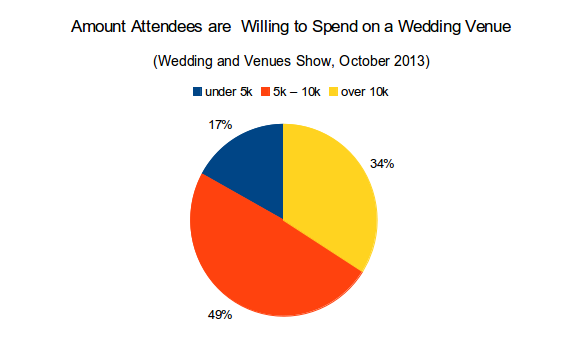 The Wedding and Venues Show attracts a large proportion of couples rather than Bride & Friends, which is an ideal platform for promoting your Wedding Venue, providing a face-to-face connection with potential customers who are undecided on their Wedding Venue, but at that crucial point when they are about to book one. It will allow you to take appointments and welcome couples to your forthcoming open days with a prior relationship already established. OUR PREVIOUS EVENTS HAVE PROVED A RESOUNDING SUCCESS – WITH SOME VENUES TAKING UP TO TEN BOOKINGS AND TENS OF THOUSANDS OF POUNDS WORTH OF BUSINESS IN THE WEEKS AFTER THE SHOW. SEE TESTIMONIALS. Go that extra mile so your potential customers don’t have to ! The Wedding and Venues Show is unlike any other show we or anyone else does, it focuses largely on Wedding Venues and Wedding services that are chosen and booked in the early stages of planning. As outstandingly beautiful some of our North East venues are, there must be many a missed opportunity because of the travel distance involved that can take up so much time on a couples weekends off. Being represented here will enable you to advise couples on how they can cater for the different elements of their Wedding so that you can see the many varied options that are available. Decision making couples, at a Wedding Show together, looking for Wedding Venues and in buying mode. Even those who do not book on the day will have had time to discuss with you together whether your service and their needs are a good match, and with both decision makers present this offers you the ideal opportunity to make an impression on them so that there is an excellent chance of you securing their business. For Wedding Venues this is quite a unique opportunity in that Newcastle Racecourse, though a Venue themselves have a relatively neutral, yet easily accessible location, and are more than happy to see us encourage business for each other, with the additional benefit of FREE parking for thousands of cars, we are in a position to provide the platform for a destination event for couples looking for Wedding Venues. A lot of Wedding Fairs and Shows are visited by the Bride to be, her mother, friends, future mother in law etc, and on some occasions they are there for an enjoyable day out and sometimes they are at the stage of their wedding when they only need to book ancillary services which they would usually book in the latter stages of the process of planning their wedding. Or ‘Goody Bag Hunters’ who have been attracted to the event by this type of marketing which has been carried out to boost attendances.Not an ideal audience for Venues looking for potential clients. Our specific-targeting of engaged couples looking for Wedding Venues, along with a ticket price for guests, ensures a strong presence of your target market, a lot of which are ready to BOOK ! So whilst the visitors can obviously bring their friends along if they wish (they will have to pay for the privilege though) this presents you with a nucleus of engaged couples looking for Wedding Venues ! Whilst Wedding planning will be the main focus of the couples at the moment, this also presents an ideal opportunity for Venues to promote future events and build up a database of what could be perfect future customers, interested in other events that are very appropriate to them, Christmas Parties, Valentines Evenings, Restaurant Promotions, Overnight Accommodation for Guests, Couples Weekends Away, Spa Days, Hen Parties etc etc ! 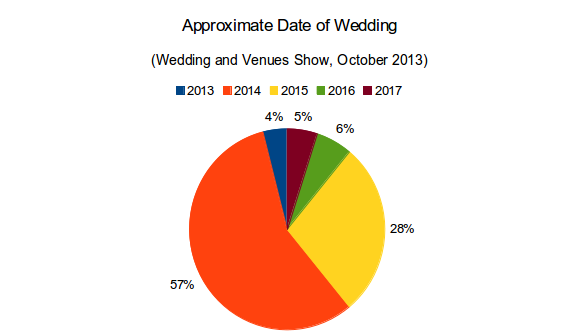 At the inaugural event in 2013 46% of those came to the Wedding and Venues Show specifically to consider Wedding Venues to book. WeddingFairsNorthEast.com are the organisers of the Wedding and Venues Show with over 20 years experience organising wedding fairs and events in the North East as displayed on our website www.weddingfairsnortheast.com. Our other events include the renowned Great North Wedding Show at Hilton Newcastle Gateshead a very successful event in it’s own right which have attracted thousands of visitors. A record number of brides attend each year. Our events are successful as we’re able to draw on a network of Wedding related websites to promote the events and attract pre-registered Brides who book to attend our events because they know that they will be visiting a well organised show with quality exhibitors. We often get Brides to be visiting our Shows based on the recommendation of their friends who have visited one of our events in years previous. We know that value for money is the key for wedding businesses; we provide this by hosting affordable events for exhibitors to promote their wedding services, with industry leading attendances. – Please call 033 00 100 192 (local rate) for enquiries about exhibiting or attending. 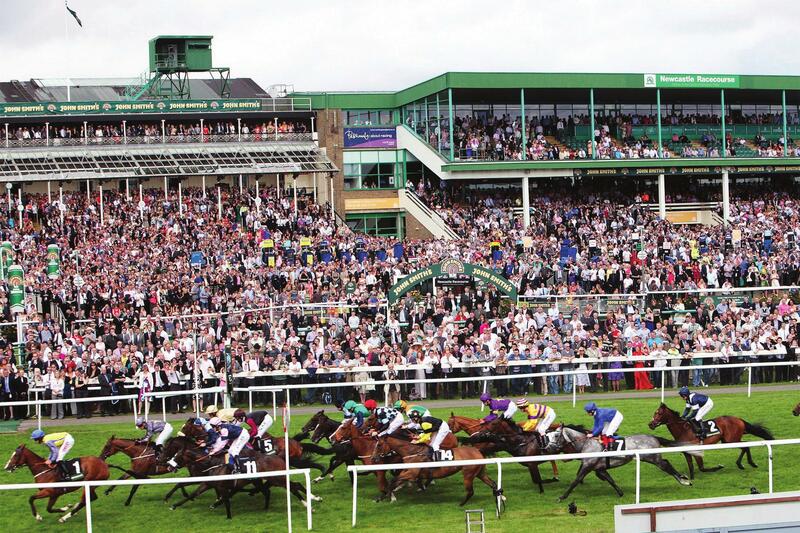 – or text ‘RACECOURSE’ & your name / business name to 0749 321 345 2 and we will call you back. – Alternatively, complete the form below with your query.